At Holvi, we geek out about the latest developments in the financial technology space. Fintech, an industry that spans everything from online payment processing to online banking, is growing like never before. This highly technical and deeply regulated sector is now riding an entrepreneurial wave of disruptors who are not afraid to challenge traditional banks and megacorporations. Investments are flooding into the industry, growing at a rate of 45% a year, with $13.7 billion invested into the sector in 2014. In this blog post, we have distilled the most exciting speakers and talks in the fintech space at Slush 2015. Scroll down to see more. Founded in 2006, today Adyen is a major player in international omni-channel payments processing. The company is said to be valued at $2.3 billion and raised $250 million Series B a little over a year ago. Adyen has seen double-digit annual growth since 2007 and has been profitable since 2011, expecting to make $45 million in profit in 2015. The likes of Facebook, Dropbox, and Spotify use the Adyen technology to accept payments globally, among 3500 other international businesses. What makes the company’s offer so attractive is that it seamlessly combines several payment services and makes it easy to accept payments worldwide from all sales channels via connection to a single and scalable payment platform. 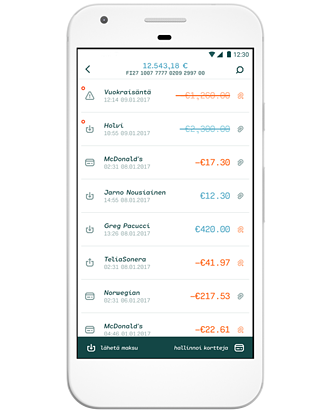 Adyen allows merchants to accept payments on the web, mobile and more recently at individual points of sale. It also provides analytics services to track what is selling and where. Pieter van der Does has led Adyen’s growth from a startup into one of the greatest European success stories in the fintech space. At Slush, Pieter will be interviewed by Ingrid Lunden, editor at TechCrunch, about how the company was built and Adyen’s plans to maintain its remarkable growth. We are looking forward to hearing Pieter’s take on the future of financial services industry. "Building the next killer app in global payments"
Kristo Kaarmann co-founded TransferWise, the international money transfer platform that leads the digital revolution in existing financial services. TransferWise helps its customers globally send money abroad at a much lower cost than banks offer. The company has introduced a profoundly new customer-centric business model. The platform matches users who want to convert, say, pounds into euros and users who want to transfer money in the opposite direction (euros into pounds). This approach resulted in TransferWise's rapid growth, with $4.5 billion dollars moved across the platform in just a few years. TransferWise has attracted $90.37M from the world’s most renown technology investors, such as VC firm Andreessen Horowitz, Sir Richard Branson, Peter Thiel and Max Levchin, the co-founders of PayPal. Kristo will be interviewed by Toby Coppel, who invested into TransferWise via Richard Branson’s Virgin and Virgin Green Fund. Klarna is a Stockholm-based provider of buy now, pay later online payment service. It is impossible to overestimate the impact of a smooth checkout experience on conversion rates in online stores. It is Klarna's simplicity that helps improve merchants' cart conversion rates and makes the company stand out in such a competitive sector as payments are. Using Klarna online shoppers only have to enter information like an email address and zip code to buy an item. After that, Klarna assumes all the risk from the purchase transaction, pays the retailer, and collects the amount due from the customer through an invoice. Klarna's Chief Information Office Yuval Samet leads Klarna’s engineering team that is the driving force behind company’s global growth. As a part of the payments track at the Slush conference, Yuval will talk about how Klarna is building a payment service that focuses on the customer experience. "Big things start small: Breaking barriers in payments"
Jacob de Geer is co-founder and CEO of iZettle, the fast-growing payments company that allows anyone to accept card payments on their smartphone or tablet. Jacob plays a leading role in iZettle's mission to democratise card payments, allowing individuals and small businesses to accept payments in a simple, affordable and secure way. On the Slush stage, Jacob will explain how the company lowers the barriers to accepting payments for small merchants and helps them grow their business. Last but not least, if you're a fintech startup looking to raise money we definitely recommend checking Jalak Jobanputra's talk on investing in fintech companies. Jalak has over 15 years of investment experience in technology companies with various funds in the US. She is currently a Founding Partner at an early stage venture capital fund FuturePerfect Ventures in New York, whose portfolio includes such fintech startups as Blockchain, Abra, Blockstream and Bitpesa. Are you coming to Slush? 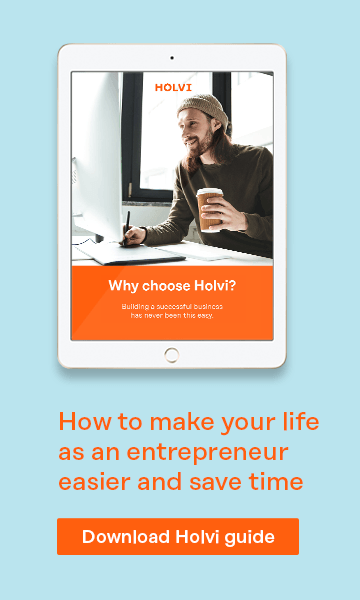 So is Holvi! We will be at the demo booth number A0 on the first day, 11 November. Stop by to say hi and learn about our latest product development. We've got a lot to show!